Can You Follow the Number From Start to Finish? https://twitter.com/Iwubcats/status/804167190798811136 link to my tweet! My 2.5 year old daughter and 1 year old son would love it! I think my niece would love it! It would be for my nephew!! I would love to have this for my 4 year old great granddaughter. She loves doing art projects and would have a blast with this. Glad I stumbled on this just in time. We wanted to get this for our 2 year old last week but couldn’t for some reasons. It would really be great to work it here. Your review has made us want it more. 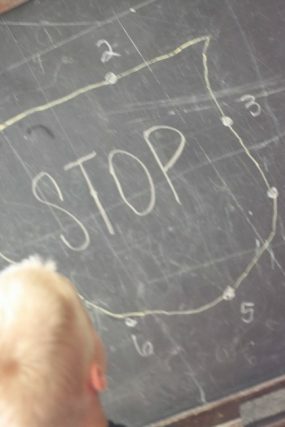 Love how it combines electronics and chalk board. Multifunctional toys are really my favorite. I would you like the V-Tech Touch and Learn Activity Desk Deluxe for my nephew, as it would be a growing and a learning experienced that which could not be experienced the same any other way. We have a few grand kids who would love this desk. What a great learning aid! I’d love it for my son. I’m teaching him to read and write right now. This would be awesome for my 2 year old granddaughter, Aubree. I would love to have the VTech® Touch and Learn Activity Desk™ Deluxe for my niece. This looks just the right size for my friend’s daughter. I would love this for my daughter, Janetsy. I think it would help her learn some basics before starting kindergarten. Thank you for the opportunity!! I would love to have the VTech® Touch and Learn Activity Desk™ Deluxe for my granddaughter! I would keep it at my house so several of my grandkids and family could enjoy it while visiting. I would love to have this toy for my neice’s kids. I don’t have kids of my own. I would love them for my friends three young boys. My cousin’s little daughter is cute as a button, and smart, too. This Activity Desk Deluxe from VTech would be a great gift for her. Thanks for the idea! I would love this for my 2 kids! 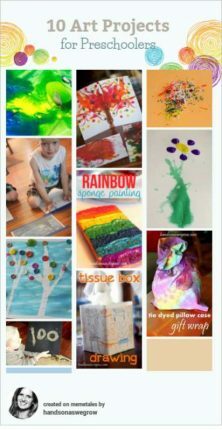 My daughter is super artsy and this would keep her from making a huge mess! Love this desk and how it opens! I would love to give this to my niece. The two little boys I nanny for have one of these, and it gets used very frequently. They love it. 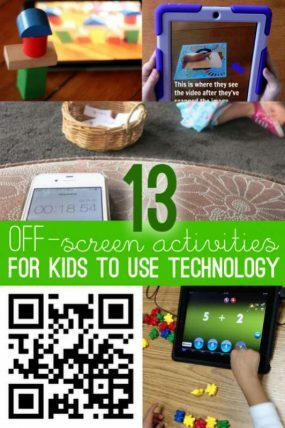 It’s a great learning tool that is also fun and interactive for kids. For my three year old son. I would love this for my Grandaughter. I feel it would help her to learn. I would like to win the VTech® Touch & Learn Activity Desk™ Deluxe for my granddaugher. She is just learning how to write, so this would be the perfect gift for her. I would like the VTech® Touch and Learn Activity Desk™ Deluxe for my grandson. My twin daughters would absolutely LOOOOVE LOVE LOVE this!! I would like it for my grandson. I have a 3 year old and 18 month old. They would both LOVE this!! I would love to win this for my granddaughter, she just turned 1. I tweeted and the url is https://mobile.twitter.com/kwolek21/status/798735514123780097. Thank you for hosting this sweepstakes. I would absolutely LOVE this VTech® Touch and Learn Activity Desk™ Deluxe, for our youngest, Joee Mae, who is 3! She loves learning, and this is her last year at home with me before she heads off to school like her big brother and sister. This is something that we would play with a LOT and would definitely give her a head start! I would love to win this for my great nephew who is 2. He loves anything crafty. My 3 year old son would love this! all toddlers deserve a toy like this. Its makes learning fun. I am hoping to win but congrats to whoever does. My sweet little niece would love that desk! I would be trying for this for my younger son. How neat is it! i would like to give my son 3 years old the VTech® Touch and Learn Activity Desk™ Deluxe for in my life. he is very eager to learn new things and loves drawing and writing. I’ve been eyeing the bye have desk for my son for a while! It looks really cute. Oops, that’s vtech desk! Gotta love autocorrect, right? This would be a wonder gift for children learning to write. I like that it is so much more than a desk. So much to keep them interested! I would love to have this for my 16 month old girl! I would like the VTech® Touch and Learn Activity Desk™ Deluxe for my twin girls! This looks super cute! My nephew would love this! Thanks for sharing! kristiedonelson(at)gmail(dot)com Thank you. This is awesome! It would be perfect for my son! I would love this for my 18 month old nephew. I think it is something he could grow into. I would love to win this for my 4 year old!! He would absolutely LOVE IT!!! I would love this for my son, Fin! My granddaughter would love to have the VTech Touch and Learn Activity Desk Deluxe! I think it is something she would play with a lot. My niece would love the VTech® Touch and Learn Activity Desk™ Deluxe. It would keep her busy for hours exploring all of the activities. I would like to get the VTech® Touch and Learn Activity Desk™ Deluxe for my son. This would be amazing for my soon to be 4 year old! It would give her a perfect spot to dedicate time to creating and exploring! I would love to win this for my 16 month old daughter. She is so eager to learn and explore! I have two toddlers, age 5 and 3 who would FLIP over this! It would definitely be their christmas present this eyar. thanks! I would love this for my youngest son. Thanks so much. My little nephew would have hours of fun playing at the art table its so cute and colorful looks like so much fun to use. I would give this to my 2 yr. old grandaughter. She knows all her abc’c by sight. She knows her numbers to 20. My son is 3. This would PERFECT for him!! I would love this for my little girl, she really loves to learn! Adrianna would love this desk!! 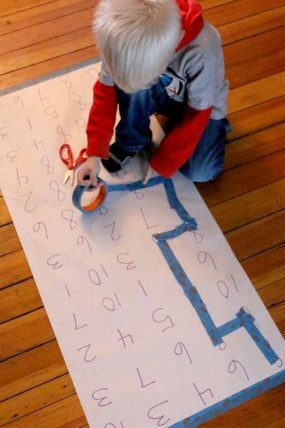 This looks like a fun and neat way to teach my child her abc’s ect. A great way to play with your child while they are learning. My son so would love to have this desk! My son would love this! He’s very creative. 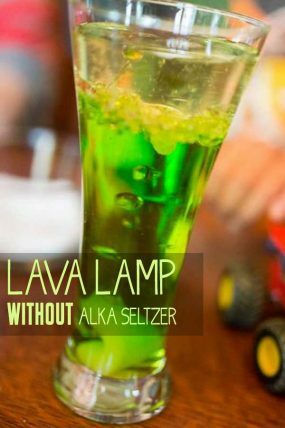 I would love this for my toddler and preschooler! ! I love getting the hands on e-mails and I want to win a desk! I would love to win the VTech® Touch and Learn Activity Desk™ Deluxe for my son! I homeschool my kids and he is starting to get old enough to want to learn his numbers, colors, shapes, and letters! :) I definitely think that he would benefit from this desk! That looks like a great tool for learning! I would like this for my 5 year old twins! My daughter would love tracing the alphabet! 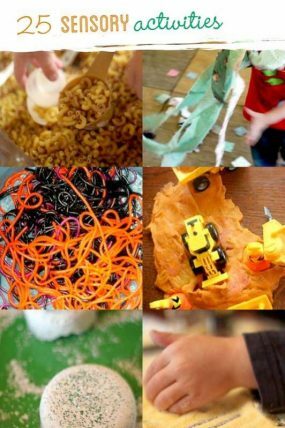 Thanks for sharing your ideas for getting the kids doing hands-on activities. The vtech table looks awesome. My 2 little boys would love it. My 2 year old would love this table. He already wants a desk to go to work like daddy and will sit and pretend to write and use an adding machine at my desk. He is just starting to show a real interest in letters too. The VTech® Touch and Learn Activity Desk™ Deluxe would be awesome for my youngest daughter. She loves crafts and hands-on learning. My son is about to turn 2, and he would love this VTech Touch and Learn Activity Desk Deluxe! I love that it is a 3 in one piece, and that is has so many educational features. Who would you like the VTech® Touch and Learn Activity Desk™ Deluxe for in your life? I have a 3.5-year-old daughter who loves drawing, crafts, and painting and who has recently started writing recognizable letters (deliberately). I have a just-turned-two-year-old son who would be very interested in it as well, especially for the letter and shape recognition features. It looks so fun, I want to play with it myself! My daughter loves drawing and talking and painting. This activity desk sounds like the perfect Christmas present for her! My daughter loves to create AND listen to music so this desk looks wonderful! I would love to win this for my son! He is 4 and I think this would be very motivating for him to help work on his writing and drawing skills. He is developmentally delayed and finding a toy that can help him work on his fine motor skills while also entertaining him is perfect! Great tool for learning! I like how the kids can sit down while using an easel. Can’t wait to see my LO starting to really trace letters. The idea above looks fun for an adult to do with their kiddos. My 3 year old would love to use the VTech® Touch and Learn Activity Desk to “do his work.” He is starting to get very interested in letters since his older brother started Kindergarten and this would be a great tool to let him explore them more. I would like the VTech® Touch and Learn Activity Desk™ Deluxe for my little girl. She enjoys learning and doing art and this learning activity desk would be awesome for her. I have several grandkids that could learn and enjoy the desk and pass it down to others while there at my house. I would like the vtech for my daughters. Just moved to Texas… My daughter would love this in her new room! =) She just turned 3 and loves to do her “homework” while 7 yo brother does his. I would love to win this for my littlest 3, ages 16mo – 4. I would love this for my 15 month old daughter! My two year old son would love this!! I would love to win this for our son. He is going to love it. I would like to win this for my son. His first birthday is in a few months. It would be for my two younger kids. :) Perfectly fun and educational, love Vtech. My two little girls would enjoy playing with this. 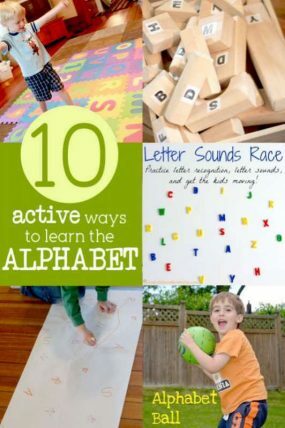 It would be a great way for them to learn their letters. My daughter (4 years old) and son (2 years old) would love this! I would like this for my nephews. They love to do art and this would be a super cool Christmas present! My kids are getting a little old for it, but the boys are the perfect age! My daughter would love this activity desk!! Thank you for all of your awesome activity ideas. I think my toddler would enjoy this table! Thanks for offering this giveaway! I’m doing the challenge. I hope to win this for my son he would love it! My son would be on this all day and night. I’d like the VTech® Touch and Learn Activity Desk™ Deluxe for my niece. My little one would love the VTech Touch and Learn Activity Desk Deluxe. My three year old son would love this. I would love to win this for um son. I want to give him the very best and this would be such a blessing. I would like the desk for my son. I have been considering buying this VTech desk for either a birthday or Christmas present. It has lots of nice features. I nanny for a small child who would benefit from the VTech® Touch and Learn Activity Desk™ Deluxe. This would be awesome for my daughter!! I already got this for my daughter. I run community group and I am sure this would be an extra special group for a family this holiday. I would like the VTech® Touch and Learn Activity Desk™ Deluxe for my nephew. I know he would love it. I would love to give this to my youngest daughter. I wish they had this when My Kids were little this awesome!! Bu t I know My Sons Little Bean would Love this!! She will be as Smart as Her Daddy! My little one would have fun for hours with this! I think my son would absolutely love it! My niece would love to play with the VTech Touch and Learn Activity Desk Deluxe! My son and daughter would love to play with the VTech® Touch and Learn Activity Desk™ Deluxe!! They would have hours of fun! The kids in the family would so love the VTech® Touch and Learn Activity Desk™ Deluxe. I think my nephew would really like it!